People, especially those who abhor smoking, are excited about this news. President Duterte is set to sign Executive Order (EO) on the no-smoking policy in public places. Once it is signed, smoking of cigarettes, tobacco, shisha (waterpipe), e-cigarettes, or similar devices will be ban in public places, including public vehicles nationwide. The smoking ban will implemented in all public outdoor spaces, enclosed and partially enclosed public spaces, accommodation and entertainment establishments, and work places. The EO covers drivers, conductors, and passengers in public utility vehicles. President Duterte will sign the EO before the end of October and will have full implementation of the graphic health warning next month. 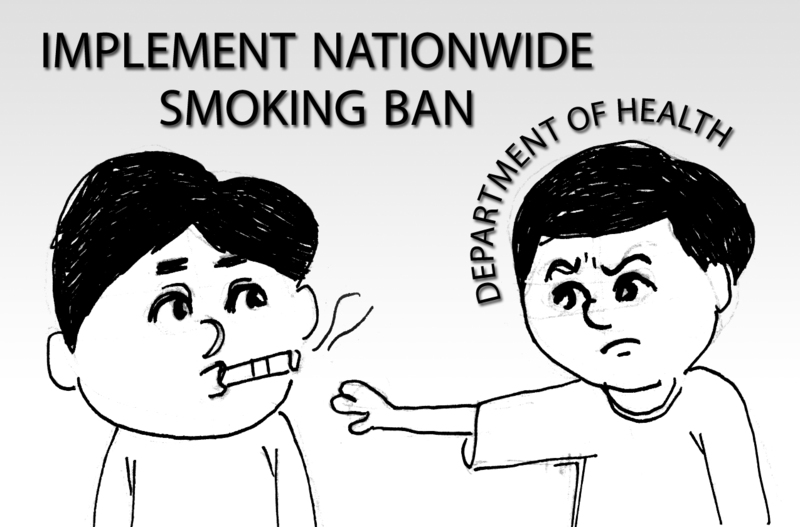 This entry was posted in Advocacy, For a good cause, Health, Safety tips, Social responsibility and tagged Nationwide Smoking Ban, no smoking in public places, say no to smoking, smoke-free Philippines on October 16, 2016 by Mommy Yam.